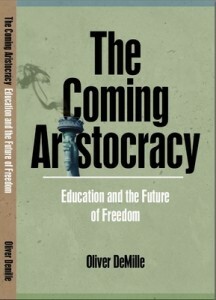 The following is an excerpt from Oliver’s recent book, The Coming Aristocracy: Education & the Future of Freedom. If freedom is to reverse the onslaught of American and global aristocracy, it will likely do so through the greatest freedom trend of our time. This trend is revolutionizing institutions, organizations, relationships, society and even nations around the world. It is still in its infancy, and many have yet to realize its potential. The experts tend to overlook it because it seems small. It will likely always seem small because it is a “bottom-up” trend with no “top-down” organizations, alliances, or even affiliations. Truthfully, it isn’t even a single trend at all–it is thousands of small trends, all following a similar pattern. All of these touch on facets of this freedom trend, but I think the best, most accurate and descriptive name for it is the “mini-factory” model. Modernism came with the factory–the ability to mass produce. This revolutionized the world–economics, governments, how we spend our time each day, what we eat and wear, relationships, the size and functions of our homes and cities, etc. Today the mini-factory is changing everything just as drastically. In modern times the factory provided mass goods and services. Imagine the impact on everything in our lives if each family could provide all, or even many, of its needs for itself–and do it better than kings or politicians ruling over working peasants or even corporations employing workers to produce goods and services. Such is the world of the mini-factory. How Does a Mini-Factory World Function? For example, what if parents could educate their children better than local school factories, with the best teachers, classes and resources of the world piped directly into their own home? What if a sick person had more time and motivation to research the cases of her symptoms than the factory doctors, and the availability of all the latest medical journals right on her computer screen? She would also have holistic works, original studies, alternative and collaborative experts, and the ability to email the experts and get answers in less time than it would take to wait in the hospital lobby. Ten friends would likely send her their experiences with similar illness within days of her mentioning casually online that she was sick. If she chose a certain surgeon, a dozen people might share their experiences with this doctor. What if a mother planning to travel for family vacation could just book flights and hotels herself, without calling the “expert” travel agent? Maybe she could even choose seats on the flight or see pictures of her hotel room–all in her own home between her projects and errands. Welcome to the world of the mini-factory. I purposely used examples that are already a reality. But they were just a futuristic dream when writers like Alvin Toffler and John Naisbitt predicted them before 1990. Technology has helped it, but the impetus of the mini-factory trend is freedom. People want to spend less time at the factory/corporation and more time at home. They want to be more involved in raising their children and improving their love life. In an aristocracy, these luxuries are reserved for the upper class. In a free society, anyone can build a mini-factory. A mini-factory is anything someone does alone or with partners or a team, that accomplishes what has historically (meaning the last 150 years of modernism) been done en masse or by big institutions. If a charter school provides better education for some of the community, it’s a mini-factory. If it does it at less cost and/or in less time spent in the classroom, so much the better. A homeschool or private school can be a mini-factory. Of course, if the charter, private, or home school does a worse job than the regular factory, it is a failed mini-factory. If joining a multi-level company and building it into a source of real income serves you better than an employee position, it’s a mini-factory. If downsizing from a lucrative professional job in Los Angeles to a private practice or job that pays much less but allows you twice as much time with your family and a more relaxed lifestyle in, say, Flagstaff or Durango and makes you happier, it’s a mini-factory. Entrepreneurship, alternative education, the downshifter movement, environmental groups, alternative health, the growth of spirituality, community architecture, the explosion of network marketing, home doctor visits, the rebirth of active fathering, and so many other trends are mini-factories. How do Mini-Factories Impact Freedom? It all comes down to this: Big, institutional, non-transparent, bureaucratic organizations are natural supporters of aristocracy. Freedom flourishes when the people are independent, free, and as self-sufficient as possible. I am not suggesting going backwards in any way. Forward progress is most likely in a nation that is both well educated and highly trained, where big institutional solutions are offered wherever they are best and individuals and groups seek smaller solutions where they better serve their needs, where free government enterprise rules apply and there are no special benefits or perks of class (either conservative aristocracy or liberal meritocracy), and where government, business, family, academia, religion, media, and community all fulfill their distinct, equally-important roles. Such a model is called freedom. It has been the best system for the most people in the history of the world, and it still is. To adopt freedom in our time, either the aristocracy must give up its perks and voluntarily restructure society, or the masses must retake their freedoms bit by bit, day by day, by establishing mini-factories. Mini-factories will be more successful if each person only does a few, and does them with true excellence. Freedom will flourish best if there is no organization or even coordination of the mini-factories; if individuals, partners, families and teams identify what is needed in the world and in their own lives and set out to deliver it. This is especially hard in a time like ours where the employee mindset wants someone to “fix” things (like the economy, health care, education, etc. ), exactly when an entrepreneurial mindset is most needed to take risks and initiate the best and most lasting changes. If real, positive, and effective change is to come, it will most likely be initiated by the people acting as individuals, small groups, and teams. If it comes from the top, it will tend to only bring more aristocracy, and the day of freedom will be over for now. Whatever your mini-factory contribution might be, consider that it will help determine the future of freedom. Mini-factories can be hard to establish and challenging to build. Many people fail once or several times before they learn to be effective. But the type of learning that only comes from failing and then trying again is the most important in building leaders and citizens who are capable of maintaining freedom in a society. Note that this very type of education is rejected in a training model of schooling, where failure is seen as unacceptable and students are taught to avoid it at all costs. This mindset only works if an aristocracy is there to take care of the failures. In a freedom model, citizens and leaders learn the vital lessons of challenges; failures and wise risk-taking are needed. Starting and leading a mini-factory, and indeed all entrepreneurial work, is challenging. Those who embraced this difficult path in history established and maintained freedom, while those who embraced the ease of past compromises sold themselves and their posterity into aristocracy. In the long term, though, aristocracy is much harder on everyone than freedom. As you consider what mini-factories you should support, start, and build, just ask what things could be done (or are being done) better by a small mini-factory than by the big organizations that try to control nearly everything in our world. If it could be done just as well by a mini-factory, the change to the smaller entity can drastically promote freedom. If it can be done even better by a mini-factory, it is better for life itself! The mini-factory is the new vehicle of freedom. Take a mini-survey: What are your pet complaints? Government? Develop family government models. Health Care? Educate yourself on prevention and self-care. Education? Learn the principles of Leadership Education. Media? Start a blog. Entertainment? Develop a group of hobbyists who share your interests, whether it be Harley road trips, ice fishing, scrapbooking, etc. You get the idea: Live deliberately, and do not wait for institutions to change to meet your needs. Do not waste your energy or good humor on complaining. Find a mini-factory that does it right and get behind it–or start one yourself. So many are needed, and they can bring the miracle of freedom! The future remains unseen. It is the undiscovered country. Many ancients felt that fate drove the future, but the idea of freedom taught humanity to look each to his/herself, to partner with others, and to take the risk to build community and take action now in order to pass on a better life to our children and our children’s children. Today, that concept of freedom is waning–slowly and surely being replaced by a class culture. Those who love freedom, whatever their stripe–be they green, red, blue, rainbow, or anything else–are needed. They need to see what is really happening, and they need to educate themselves adequately to make a difference. The most powerful changes toward freedom will likely be made by mini-factories, in thousands and hopefully millions of varieties and iterations. Click here to learn more about the mini-factory trend and to purchase a paperback copy of The Coming Aristocracy. 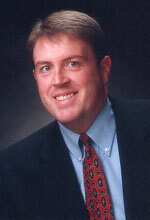 Click here to download two hour-long webinars with Oliver DeMille explaining mini-factories.